Are you a traditionalist or prefer a twist on a classic, these thanksgiving recipes, like this Mai Tai Cranberries with mango and rum, will certainly brighten your holiday table. I don’t know about you, but I’m stressin’ a little this year. It’s my first year hosting a large Thanksgiving dinner. My guest list jumped from 17 to 25 – for now. I have hosted big dinners before, but Thanksgiving is an iconic holiday. There are expectations on what it is served. Add the Persian twist and that I’m a food blogger and the now the expectations are to the moon! With all of this on my mind, you would think I have my menu nailed down. I suppose I work well under pressure, because I often wait ’til the last minute to finalize whatever it is I am working on. So this year, if you are looking for a little twist with your Thanksgiving, I have some great ideas for you. First up, a little bit of mango and two kinds of rum and you have this kicked up Mai Tai Cranberries. Cut the roasting time in half by butterflying your turkey and removing the spine. The hard work in the prep will make this Orange and Sage Spatchcocked Turkey (click here for recipe) one delicious and crispy bird. Switch out the stuffing and make a healthier quinoa pilaf using your favorite fall vegetables like this mushroom and thyme quinoa pilaf (click here for recipe). Ga-ga for potatoes? Don’t mash your potatoes, but SMASH ‘EM! Crispy and drool-worthy Garlic Smashed Potatoes (click here for recipe). 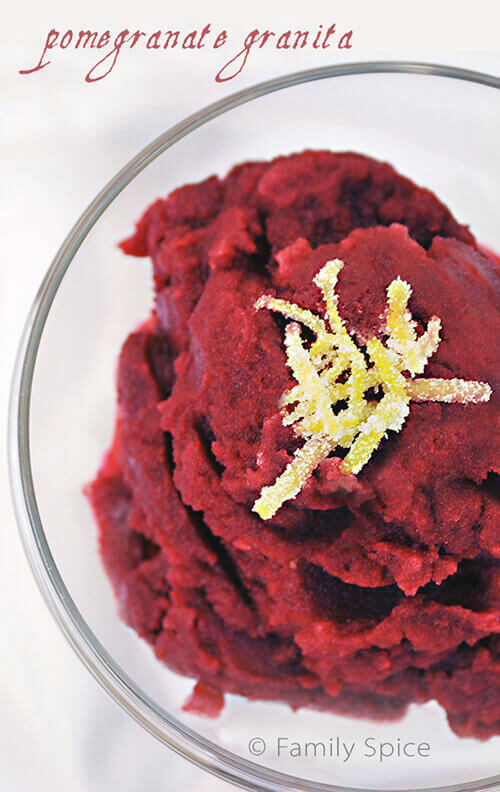 Pass on pie and serve up a little Pomegranate Granita (click here for recipe). It’s light and refreshing and so full of gorgeous pomegranate goodness. There you go – All the flavors of fall, with a little twist to shake up your Thanksgiving Feast. I also want to congratulate Jim McKain, my winner for last week’s Bob’s Red Mill Giveaway! Thanks to everyone who entered. So, are you going all traditional or are YOU adding a little twist to your Thanksgiving feast? Reduce heat to low and simmer for 15 minutes, until the sauce thickens. Remove from heat and let sauce cool for 5 minutes. Transfer to bowl and chill in refrigerator until set, about 2 hours. Serving Suggestions: Cranberries are highly acidic, which discourages bacteria growth. 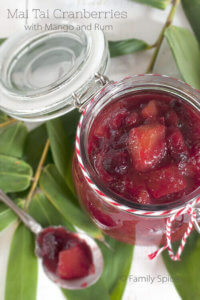 Cranberry sauce can be made and refrigerated at least two weeks before serving, and leftovers are likely to stay fresh for another two weeks. If using frozen cranberries, do not defrost before use. Just allow extra cooking time. 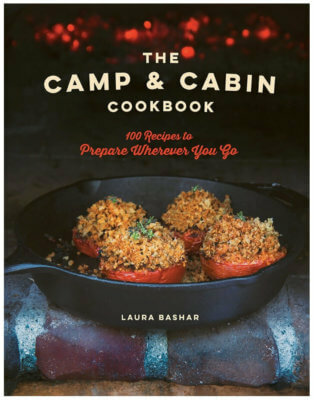 Don’t stress, Laura – your menu looks fantastic! I don’t know which photo to pin first. Wow, what a feast! Those Garlic Smashed Potatoes really caught my eye. Those mai tai cranberries are gorgeous. I know your Thanksgiving meal will be incredible! Great menu! You’ll have a great Thanksgiving. Love the idea of Mai Tai Cranberries – really inspired. And an idea I’ll probably borrow sometime. Thanks! And Happy Thanksgiving. So how did the big dinner go? Wow… I will never be able to handle that many people for a meal at my house! I need to call a catering service or just call you instead? 🙂 Looking at your photos here I don’t see why you would be worried. 😉 Everything looks delicious and I want to eat!